The attorneys general for Maryland and Washington DC have announced they will sue Donald Trump over his acceptance of millions of dollars in payments and benefits from foreign governments since he moved into the White House. The attorneys general are specifically claiming that hotels in and near the US capital have been disadvantaged by Trump competitors, given the White House status now attached to the brand. 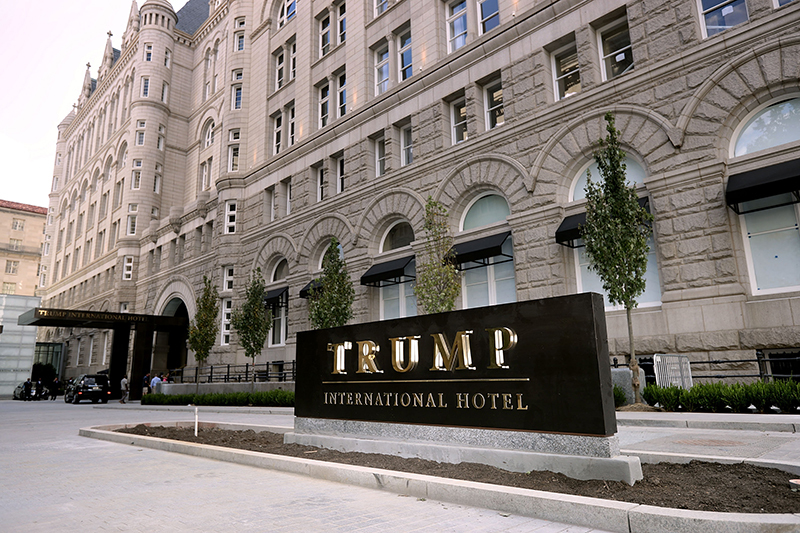 But the lawsuit — and others brought over possible conflicts of interest — raise the wider Constitutional question of the “emoluments clause”, a late 18th-century provision which bans a President from profiting from his stay in office. I explained the situation to Austria’s Radio FM4 on Tuesday. When Trump became President, he said, “I’m divesting all my businesses” to his sons, Eric and Donald Jr., but Eric Trump has subsequently said that he discusses the business affairs of Trump Corporation with his father. There is nothing to prevent Trump from gathering profits from those companies, so he has not divorced his business interests from his office. PreviousTrumpWatch, Day 144: Trump Considering Dismissal of Special Counsel Mueller?